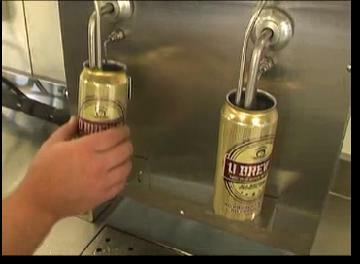 U-Brewit has introduced Australia's first Micro-Canning system throughout its Franchised stores. The acceptance of this initiative from old, new and re-born customers has been fantastic. 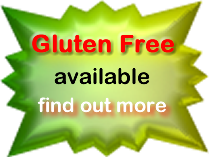 By making this available to all small/mid producers of beverages a whole new marketing avenue has been opened. We have available manual two head fillers and seamer's ( for BOP and small beverage ) up to the fully automated can filling and seaming line ( 10 Hec and above Micro-Breweries ). The aluminium can has progressed significantly in recent years with improvements like food grade lining etc. The Aluminium can is fast becoming the 'Packaging of choice' used by Boutique brewers around the world to present their product ahead of the pack. Zero light exposure, very low o2 levels and transportability are seeing the Fully Printed Aluminium Can meeting all your packaging requirements without compromising any of the beers critical characteristics. The cans are automatically pre purged with CO2. Automatically fill to precise levels and automatic shut off. Simply position the can lid in place, activate the apparatus and the can is seamed. The filler and seamer work together to achieve a consistent production flow. 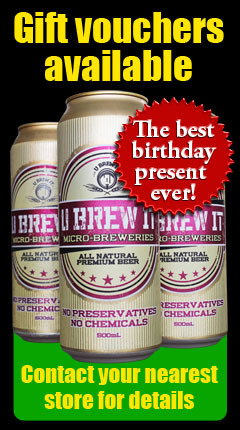 U-Brewit will supply service and support within Australia. We are USING this equipment and have an intimate knowledge of it's operation. We are not just a retailer of equipment. As Australia's first to use this equipment we have already done all the research. Contact us for details.